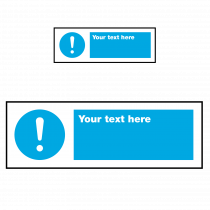 If you cannot find the Safety Sign you need or you require a specific safety sign for your business. 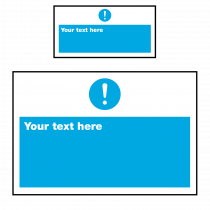 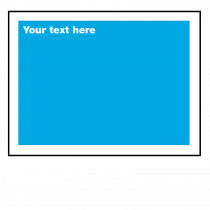 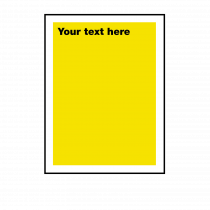 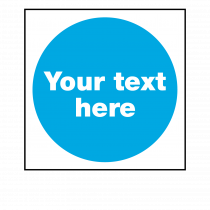 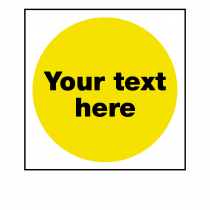 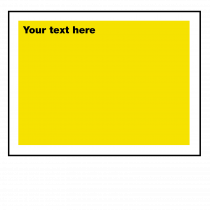 We offer you the option to Create your own Safety Sign with our easy to use create a sign. 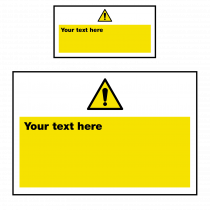 Simply select the type of safety sign, Mandatory Safety Sign, Warning or Hazard Safety Sign, Prohibition Safety Sign, various size and style options to choose from. 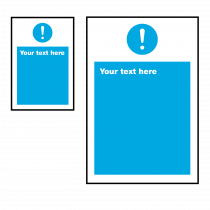 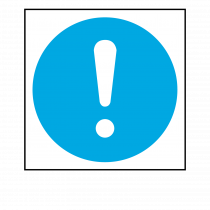 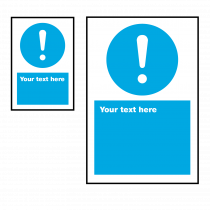 Select a safety sign symbol suitable for your message, choose your sign material, type in your safety message and add the quantity required. 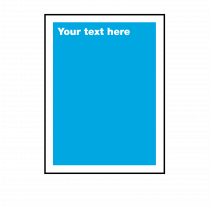 Delivered within 2 to 3 days from order. 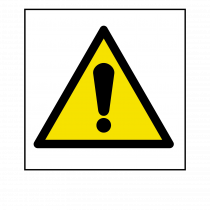 Yellow & Black Caution - Warning - Risk of Danger Signs - Yellow triangle with black border and symbol inside states a hazard warning. 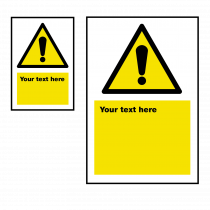 Should you require a large quantity of the same safety sign. We offer Bulk pricing on all our range of Custom Made Safety Signs. 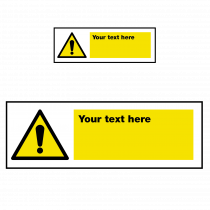 Email or Call with your safety sign requirements for a quotation.